The Walsh Law Group PLLC provides effective legal guidance in Coeur D’Alene and all five North Idaho Counties. Welcome to the Walsh Law Group PLLC. The firm’s lawyers have over two decades of combined experience in handling criminal defense litigation and family law cases. You are likely visiting our site because you have some interest in learning more about our firm, thank you for your interest. 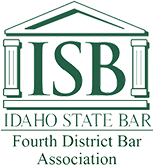 We hope our site will provide you with an informed understanding of who we are and a better appreciation of what we can do to help you meet your legal objectives and needs. Much of the information on this site describes our services, our attorneys, and our experience. Equally as important to our delivery of legal services and the substance of what we provide to our clients are the intangible qualities that are nearly impossible to explain on a website. We are an innovative firm, passionate in our dedication to our clients. We are persistent in our commitment to our core values of integrity, initiative and impact—values that have been essential components of the rewarding relationships we have forged with our clients even before we formed the Walsh Law Group. Our firm is based on a commitment to ensuring quality customer service to our clients. Our background in law and business has shown us the importance of listening to our clients and addressing their concerns; it is this fidelity to client services that serves as the backbone of the firm. Whether you have been charged with a serious criminal offense or are working through a difficult family law matter, you can feel confident in our firm's ability to protect your interests. We are a firm who prepares every case as if it were going to trial and will diligently pursue every available option in an effort to secure the best available outcome on your behalf. 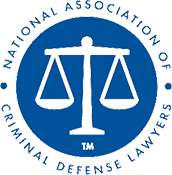 Our criminal lawyers are here to provide you with proven and experienced advocacy. Learn more about how the criminal defense attorneys at Walsh Law Group PLLC can help you by calling (208) 712-8292 or filling out our contact form. Sean P. Walsh, Alexandria T. Lewis, and Monica G. Rector are dedicated attorneys who can provide you with skilled legal representation. Our attorneys are focused on preserving your rights in both family law and criminal defense. We prepare and research every case as though we are going to trial while working diligently and carefully to pursue the best possible outcome for our clients. Why Turn to Walsh Law Group PLLC? At Walsh Law Group PLLC, we focus on serving our clients’ individual needs to provide personalized legal services. We want to ensure our clients know they are heard and we take their concerns seriously. Accessibility is our practice.